Services | Normal Life Inc.
Normal Life is happy to share our expertise on a personal level. Let us into your home, and we will identify areas in which you can improve the safety, independence, and well-being of all members of your family. We understand what life with a special needs child can be like, and we want to allow you to benefit from our experience. Compassion is our rule; let us help from the heart. 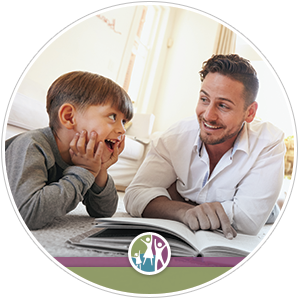 The Normal Life In-Home Program is offered to families who have just received a diagnosis for their child as well as families going through a difficult time. The program consists of regular visits to help all members of your family on all fronts. We can assist with organizational skills and setting up adaptive equipment to promote independence for your child, but we also address the emotional and intellectual issues your family faces. We focus on team building, acceptance and realization, staying educated, and teaching the pay-it-forward philosophy. This program is suitable for families who are able to cope with daily challenges, but may require additional support to get through a difficult time. The Outreach Program consists of 4 home visits and 4 video conferences. During this time we will develop a plan of action together. One final follow-up session will assess the effectiveness of the plan and determine what future steps need to be taken. This service requires the least amount of commitment, and is offered to any family who would like to have their child and family dynamics observed to identify possible areas for improvement. We will provide advice, strategies, and techniques to help you based on what we see.